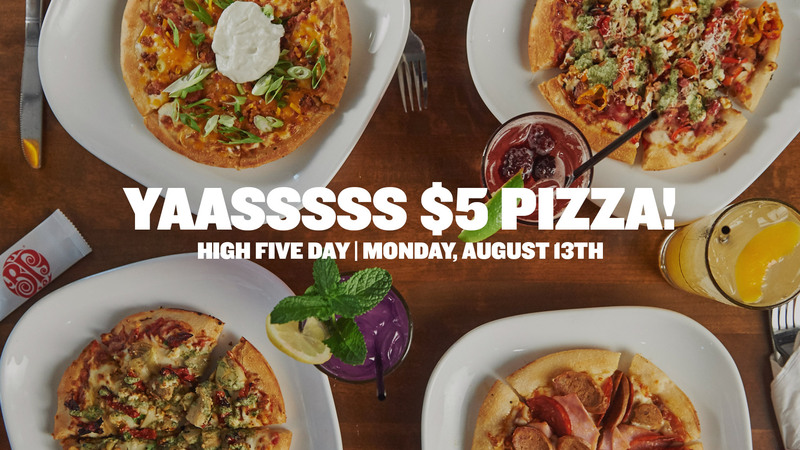 Monday August 13 2018 is high five day at Boston Pizza Canada! On that day, you can buy $5.00 individual-sized pizzas. Dine in only. Click here to find your nearest Boston Pizza Canada.